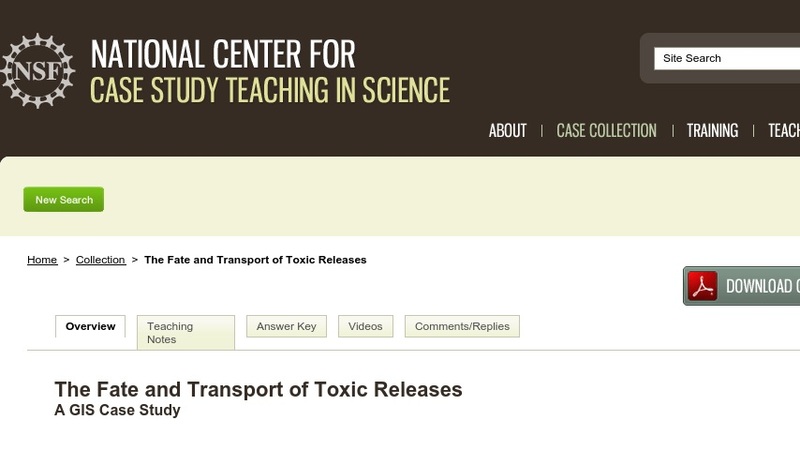 The release of toxins into the environment and the federal government's tracking of that using the Toxic Release Inventory (TRI) compiled by the U.S. Environmental Protection Agency (EPA) are the focus of this case study, which uses GIS to explore the potential impacts of the release of such substances. The case was developed for an introductory environmental studies course. It would also be appropriate for use in an introductory GIS course or cartography course where some analysis is required, an introductory chemistry course for non-majors (with some more prep work on partitioning coefficients and fate and transport), or a basic soils course where remediation techniques are emphasized. The case study requires ESRI’s ArcView 3.3 software in a computer lab setting, although it could easily be adapted for use with ArcGIS 9.x.